…Last month I was invited down to ‘The Not So Late Show” at The Wardrobe in Leeds to see one of Leeds’ freshest comedy duos at one of Leeds’ most unique live venues. The Wardrobe is located on the outskirts of Leeds City Centre close by to the West Yorkshire playhouse and whilst better known for being a bar and restaurant, hidden away underneath is the type of intimate venue you wouldn’t expect to find hidden away beneath such a grand building. 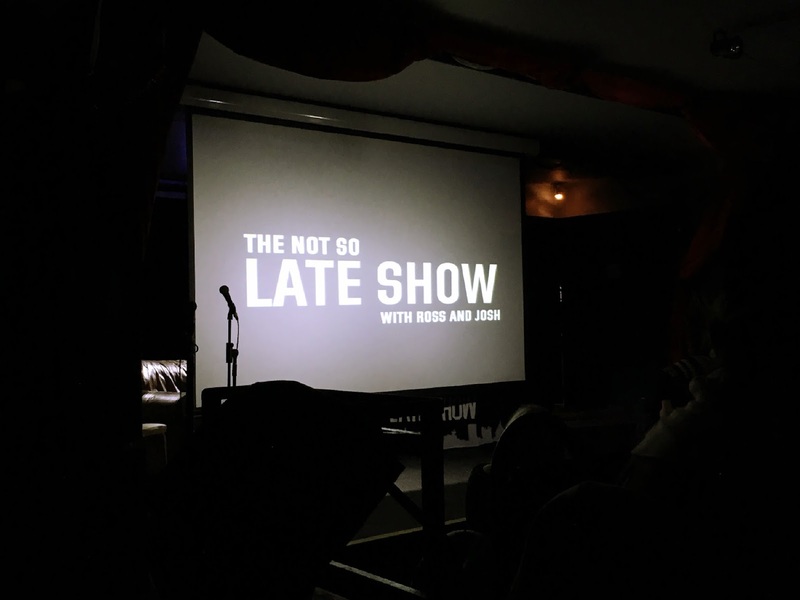 The Not So Late Show is the brainchild of Ross Brierley & Josh Sadler, a couple of childhood friends who grew up to be presenters on Yorkshire Radio and is a spoof of the type of late night American chat show that we have all come across on our Sky boxes over the years. Whilst the show got off to a shaky start (new venue teething issues), the content was lively, topical and most importantly funny. Headlined by Fringe Festival star John Kearns and his madcap outlook on the normality of life, the evening introduced me to Peter Brush and his Milton Jones-esque one liners, Baby John an adult in a babies body and Freddie Mercury – yes people Freddie is alive and kicking still! The Not So Late Show has a healthy balance of comedy, entertainment and there’s even a little bit of audience participation, although I hid in the darkness hoping I wouldn’t be spotted. Their next show is coming up on March 15th and if you’re in town and free I would highly recommend popping along for the night, tickets are just £7 on the door and you won’t be disappointed. Are you a live comedy fan?